Two weeks ago we showed you how to emphasize brown eyes using purple shades. 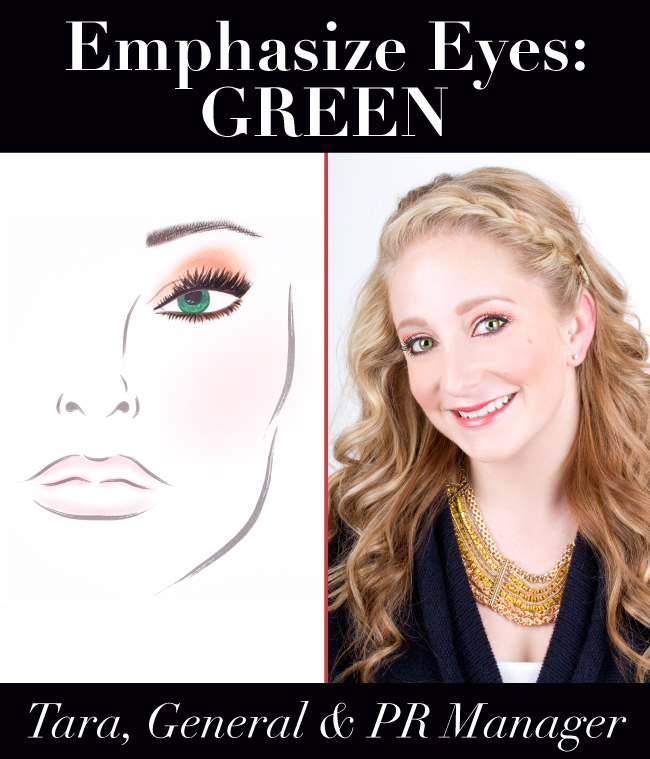 Today we’re onto our next eye color focus: green! We borrowed Sigma’s general manager to use as our model and demonstrate the best shade for making green eyes pop! (The color may surprise you!) Keep reading to find out how to get the look! Aside from her hefty responsibilities, Tara thoroughly enjoys her co-workers. “I get to work with some truly amazing people. I even get to work with my best friend, Annie (the Affiliate Program Manager), which is just the icing on the cake!" To get Tara’s featured look and make her green eyes pop, we went with red (the color across from green on the color wheel) for an ultimate contrast. The Dare Palette contained all the perfect go-to shades for creating this look! 1. Using the E70 from the Bunny Collection, lightly pat on the color ‘Chase’ all over the lid. 3. Apply the shade ‘Catch’ slightly above the crease with the E40 to warm up the look. 4. From there, use the shade ‘Approach’ as a highlighter and apply it onto the brow bone using the E60 brush. 5. With the E15 brush, apply black gel eyeliner to the top lash line. For the bottom lash line, use brown eyeliner. We added 'Snoop' to the middle of the lash line and 'Reveal' on the outer half. 6. Lastly, finish the look with an application of a mascara of your choice and a swipe of ‘Catch’ for blush with brush F15 works great. Would you ever consider using red eye shadow? 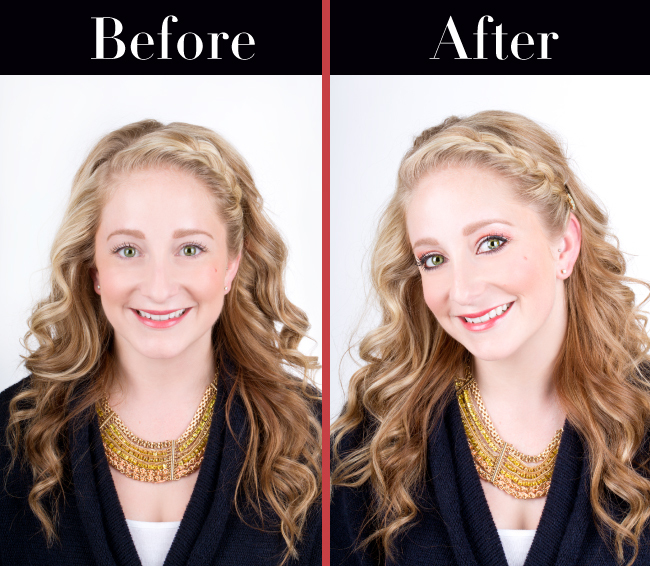 Stay tuned for our next eye color tutorial - hazel! The colors really made Tara's green eyes stand out! They are as beautiful as the moon shining over the stars in the dark night. Thanks for the wonderful tutorial, Sigma! Its good… nice tips about Glowing Skin…. I LOVE this tutorial!!! Thank you SIGMA! Since I have green eyes too, its perfect and simple for a everyday look! You guys ROCK! Also are you guys planning to do a tutorial on the "wing look" aka styles for black eyeliner??? ?